When a boater’s carelessness or disregard for safety causes devastating injuries or death, the injured victim may be entitled to damages to cover medical expenses, property damage, lost wages, as well as pain and suffering. At Heintz & Becker, our boat accident attorneys have more than 30 years of experience. We help victims recover the compensation they deserve. We’ve obtained several significant verdicts and settlements on behalf of our clients, and we can help you too. Even if you don’t think you can afford a lawyer, give us a call. Our Florida injury lawyers work on a contingent-fee basis, which means victims don’t pay anything unless we win their case. Call 941-748-2916 for a FREE consultation, or tell us about the accident online, and we’ll get in touch with you. Victims of boating accidents may be able to file a lawsuit for personal injuries and/or property damage. Determining who is at fault for a boating accident can be challenging because of where these accidents take place; evidence is easily lost or destroyed in water. But with effective legal representation, negligent boat operators can be held accountable for their actions and brought to justice. In some cases, criminal charges may also apply. If you have questions about a boating accident in Florida, Heintz & Becker has the answers you need. Call 941-748-2916 for a FREE consultation, or contact us online. Florida has the highest number of registered boats in the nation. According to the Florida Fish and Wildlife Conservation Commission (FWC), in 2017, there were 766 boating accidents resulting in 437 injuries and 67 fatalities. 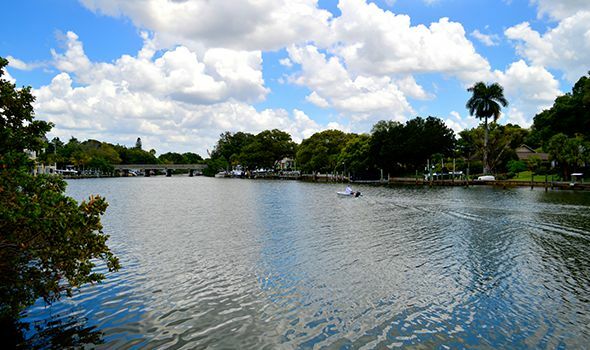 Liability insurance is not mandatory for Florida boaters. In fact, operators don’t need a license to operate a vessel or personal watercraft (PWC). Instead, operators must obtain a Boater Education Card; this card is mandatory for all boat operators born on or after January 1, 1988. In Florida, operators can be as young as 14 years old. Because our waterways are filled with inexperienced drivers and those unwilling to abide the rules, boating accidents are somewhat common. In 2016, for example, Florida had almost twice as many boating accidents compared to California, the state with second highest number of boating accidents in the country. Moreover, boating accidents are different than other types of injury cases (i.e., car accidents, slip and fall cases, etc.). For example, there are state statutes governing the safe operation of vessels and PWCs, specific safety equipment is required (e.g., fire extinguishers, life jackets, etc. ), and maritime laws may be relevant, depending on the circumstances. Other factors such as mechanical failure on the boat or intoxicated operators can further complicate an injury claim. For these reasons, it’s critical to hire experienced legal representation following a boating accident. In some cases, there may be multiple causes, such as a drunk driver and a mechanical failure on the boat itself. Regardless of the circumstances surrounding your claim, if another person’s negligence caused you to be injured on a boat, you may be entitled to compensation. We will pursue all possible sources in order to maximize your recovery. A boat-related accident can devastate a victim and their family. Medical bills and lost wages can quickly exhaust a savings. But with effective legal representation, victims and families can focus on what really matters: recovery. At Heintz & Becker, we’ll advise you of your legal options and protect your rights. More importantly, we utilize state-of-the-art resources including accident reconstructionists and investigators to collect evidence and bolster your claim. Our Bradenton and Sarasota offices are prepared to take your call and assess your case today. Plus, we work on a contingent-fee basis, which means victims don’t pay anything unless we get results. Call Heintz & Becker at 941-748-2916 for a FREE consultation, or contact us online.